The U.S. Environmental Protection Agency (EPA) has awarded Utah approximately $15.6 million for clean water and drinking water projects in communities across the state. The EPA is providing $7 million for the state’s clean water revolving loan fund and $8.6 million for its drinking water revolving loan fund to support key infrastructure projects, including new and upgraded wastewater and drinking water plants. In addition to the $15.6 million just funded, Utah’s water infrastructure projects are also funded with state match, repayments from prior SRF loans, and interest earnings. $70 million to replace the regional wastewater treatment plant in Logan City, Utah, with modern technology. These new facilities will provide affordable, safe wastewater .treatment for Logan and six surrounding communities, protecting the Cutler Reservoir. $29 million for a South Davis, Utah, sewer district project to implement innovative treatment technology for the removal of nutrients from wastewater and the conversion of waste byproducts to energy and nutrient-rich soil amendments. $13 million for a Salem City, Utah, project to construct new wastewater treatment facilities and provide safe and cost-effective sewer services. 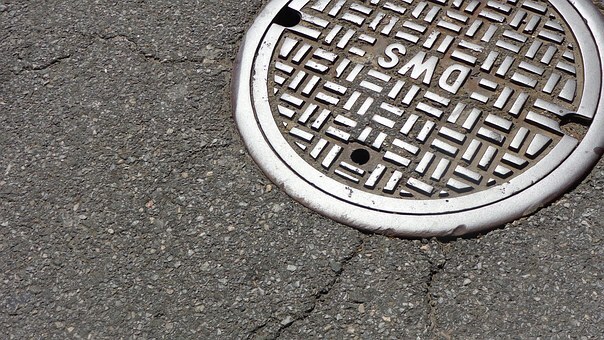 $14.2 million to replace Moab City, Utah, 50-year old wastewater treatment infrastructure with modern technology that is designed to provide regional services to Grand and San Juan Counties, including managing hauled waste from the National and State Parks and lands. $3.2 million for a project in Roosevelt City, Utah, to extend sewer services to a neighboring community and relieve public health risks that resulted from failing septic tanks and polluted groundwater. $2.65 million for Duchesne City, Utah, to rehabilitate its sewer lagoon system, protecting and extending its service life for an additional 30 years. $7.4 million for a new surface water treatment plant in Springdale, Utah. $1.7 million to connect to the Stansbury Park Improvement District in West Erda including installation of 5,800 feet of new water line, 34 fire hydrants and valves, 53 service connections and meters with 9,200 ft of new connection line. $1.2 million in Glen Canyon, Utah, to refurbish an existing storage tank, add a standby power generator and fuel tank, and install a remote read meter, data collection equipment and new distribution line. $1 million in Rocky Ridge, Utah, for a new well, 2,700 ft of transmission lines, and a building for the well and chlorination system. $555,000 in Corinne City, Utah, for a Radium-228 filtration system, spring rehabilitation, and 1,100 ft of spring line. $474,000 for a new water tank installation in Irontown, Utah, and 2,800 ft of transmission lines.